Singer Nancy Wilson hosts this Gold Medal award-winning, documentary series chronicling the people, places and events in jazz. 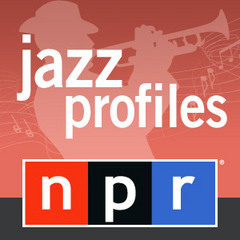 Jazz Profiles features jazz topics that are varied and all-encompassing. The program focuses largely on individuals, in particular artists who are still living and performing. Musicians who have been featured in-depth on Jazz Profiles include Dave Brubeck, Sarah Vaughan, Oscar Peterson, Sonny Rollins, Duke Ellington, Louis Armstrong, and Charlie Parker. The series has covered significant anniversaries of the dearly departed, the instruments of jazz, jazz cities, jazz families and more. Miles Davis was the personification of restless spirit, always pushing himself and his music into uncharted territory. Sidney Bechet was the undisputed king of the soprano saxophone and also one of the most innovative and original clarinetists in jazz. Blessed with impeccable timing and a smooth, mellow timbre, Mel Tormé was known during his heyday as "The Velvet Fog." Drummer Max Roach was one of the most innovative and influential musicians in jazz. The composer of "Misty" was a virtuoso pianist whose unique homegrown technique delighted audiences.